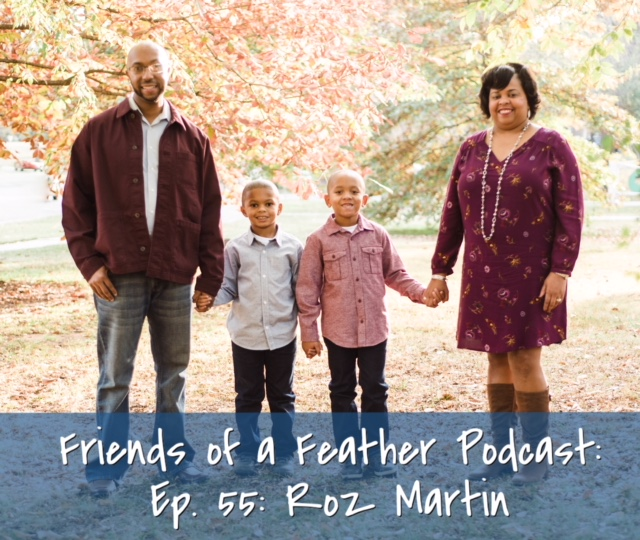 Today on the podcast is Rosalynne Martin. Roz is married to her college sweetheart, Jullian and they have two boys, ages 7 and 8. Roz and Jullian have been married for 20 years, she is very involved in the Arise 2 Read program in Memphis, she occasionally writes for the Missional Motherhood blog, and loves spending time with her family. 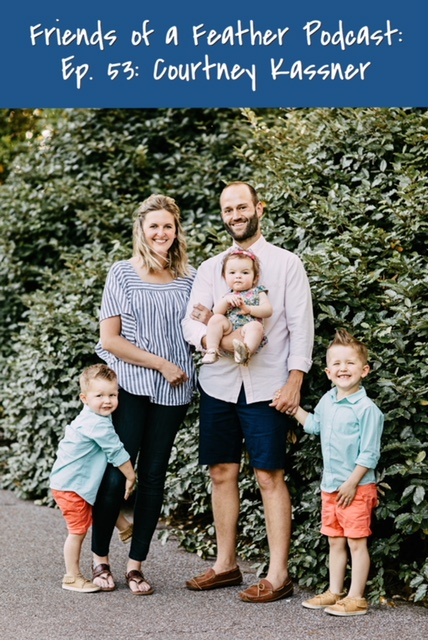 You will love hearing Roz's story of how she walked through infertility, miscarriage, 2 IVF cycles, adoption, and finding out she was pregnant while her oldest was still in the NICU. And, through it all, you can see God's hand at work. It may seem so simple yet difficult, but trusting God with you whole heart is what Rosalynne knew she had been called to do. She had delayed motherhood, but now she openly shares her story to many she meets. And, I'm so happy to share her story with you today! Wren would like to connect with you! Friends of a Feather Podcast on Instagram, and FB! Today on the podcast is Megan Benson with Sheep Farm Felt. Megan and I met over Skype this past week but I felt like I already knew her and her adorable sheep from following her on Instagram!! We talk about how Megan began her company, the best advice her dad gave her, and how she makes the felt balls! We also chat a little about Megan's family story of her parents as makers, losing everything in a fire when she was only four years old, and what her parents did for their community as a thank you for their help in the rebuilding of their home. We chat about when Megan found out her oldest daughter was diagnosed with Autism Five, also called Asperger's syndrome. Megan gives great advice for moms who are walking that journey. I love how Megan speaks about community and connections in our conversation. It's a great, meaningful episode and I would love for you to listen and share with a friend! Friends of a Feather podcast listeners! I would love to connect with you over on the Friends of a Feather Instagram! or on FB! 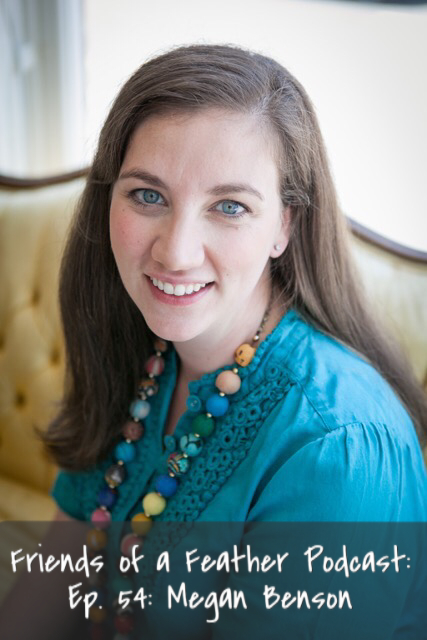 Today my guest is my friend, Courtney Kassner. Courtney is a wife and mom to three. She is the first Instagram friend who I met in real life recently! I enjoyed hearing how her company Crew & Co was born back in 2015! Working at a corporate job, Courtney felt unhappy and knew there had to be a job out there that would allow her to express her creativity and give honor to God. When her second son was born, she came up with her own scripture cards out of a need to instill God’s word or truth into her first sons life. We also talked about growth and support in marriage, in business, questioning God when seeking direction, and how thankful she is to be using her talents in a creative and honoring way to the Lord. I love how Courtney talked about using her scripture cards to be Intentional for gospel sharing with your kids cause that has been her goal from the very beginning. Again we talk about how it’s so crazy that God can bring our sweetest friends through meeting on Instagram...like us!! Great book recommendation from Courtney about finding mom friends that is sometimes hard to do!! Find the gorgeous scripture cards designed by Courtney at Crew & Co.
Connect with Courtney over on Instagram! Find Friends of a Feather Podcast on ITunes to subscribe❤️! Today my guest is my new friend, Mary Flo Ridley. 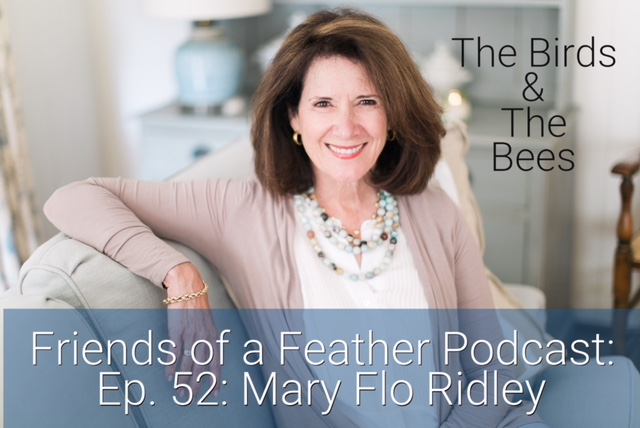 Mary Flo is a wife, mother, grandmother, speaker, author, and founder of the company, The Birds & The Bees 🐝 (@birds_bees). On this episode, we talk about what led Mary Flo to start her company, how you can start confidently talking with your child about the birds and the bees in an age appropriate manner, and an awesome resource you can use to help make this very awkward conversation turn into an ongoing knowledgeable conversation! Such a great practical episode! Don’t miss it! Link is in my profile or find the Friends of a Feather Podcast on ITunes to subscribe❤️! Connect with Mary Flo over on The Birds & The Bees on Instagram and FB! You can always connect with me over on Instagram or on FB at The Friends of a Feather Podcast! See you over there!